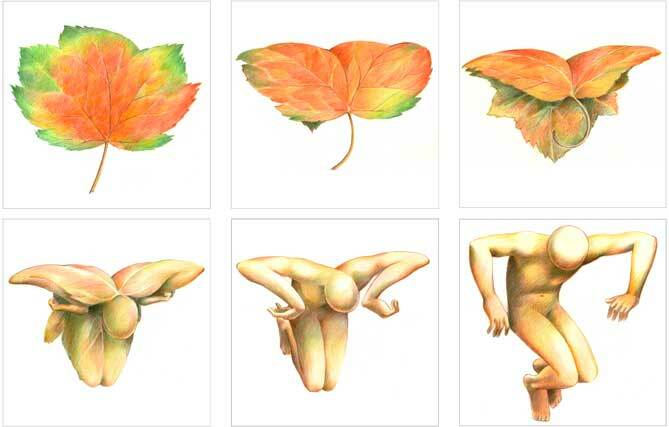 The well known Leaf Man sequence from Wish You Were Here showing the tumbling leaf turning into the tumbling man. (Print size: 48cm x 32cm. Printed on high quality archival matt paper. Hand signed by Gerald Scarfe. Limited edition of 100. Issued with a signed Certificate of Authenticity).